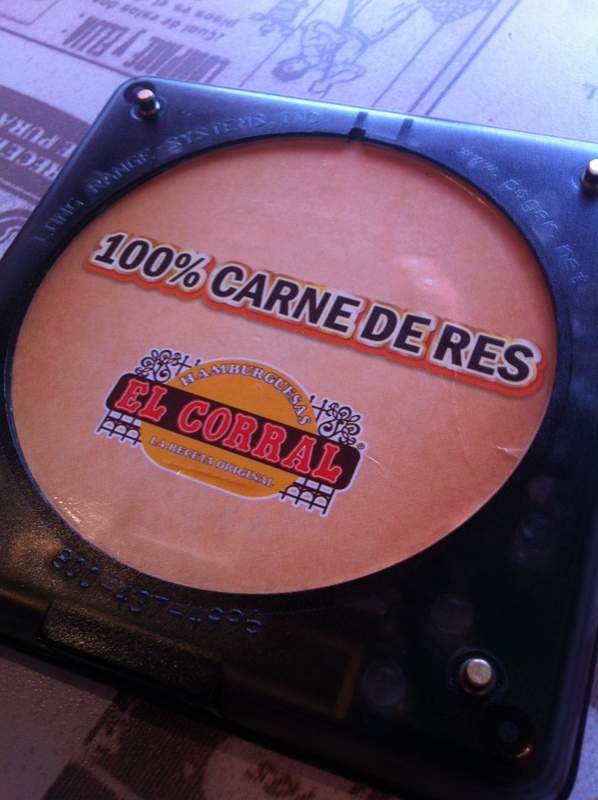 We were instructed to check out El Corral and to report back findings while in Colombia. 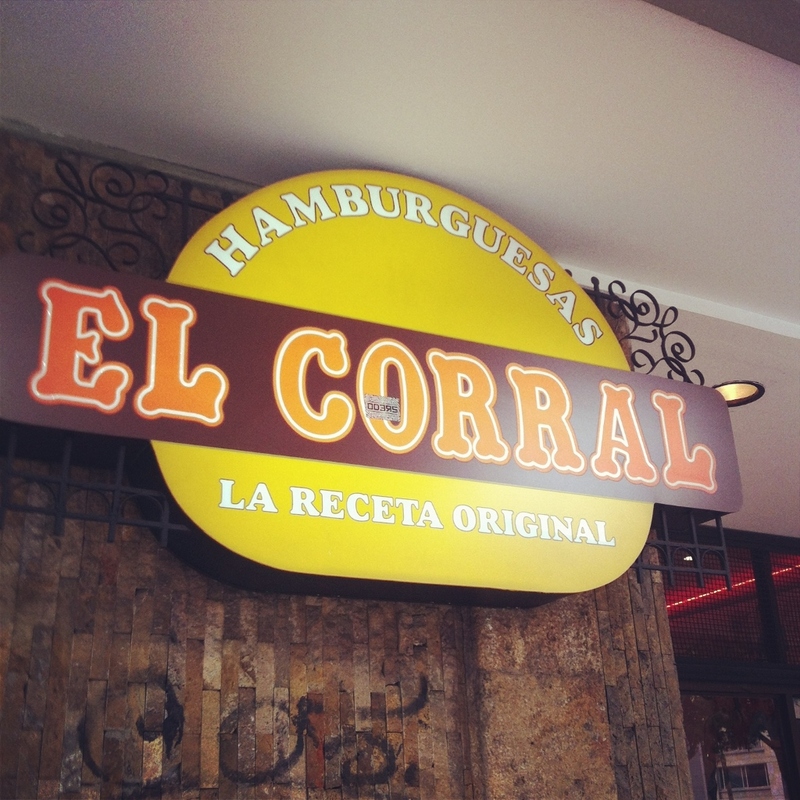 El Corral is a restaurant chain in Colombia that’s known for its burgers…..more specifically, its worm burgers! 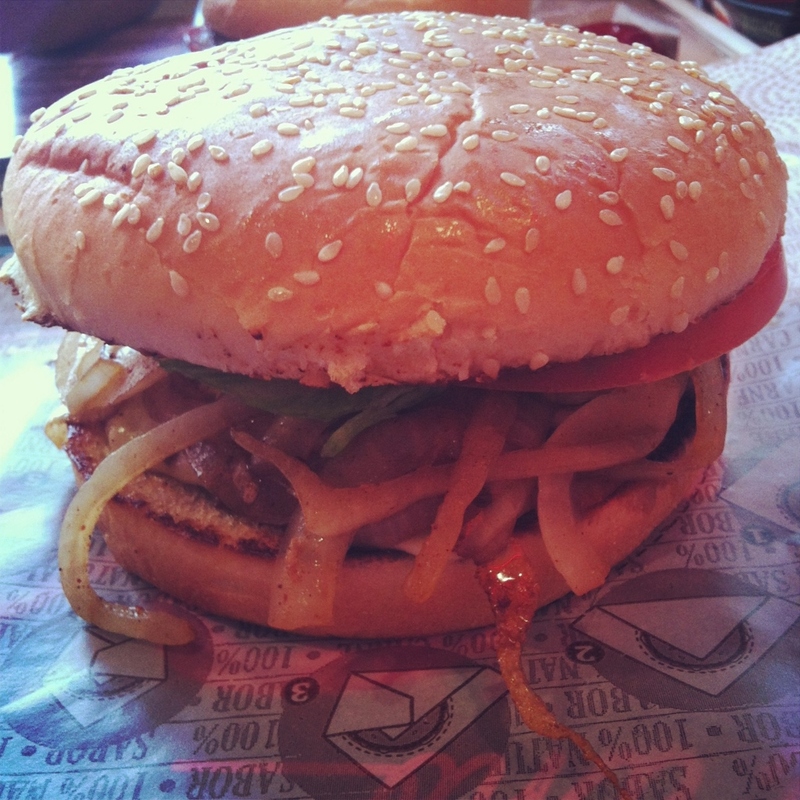 Rumour has it that its burger patties contain ground up worms. Apparently worms are high in protein and are cheap and effective substitutes for meat. They DO claim that it’s 100% beef. But then again, so does McDonalds. Jason and I decided to accept our mission and check out whether the rumour is true. Jason ordered the classic and I ordered the Criolla – which is the classic with sautéed onions, bacon, cheese and a fried egg. Beef (& worm?) 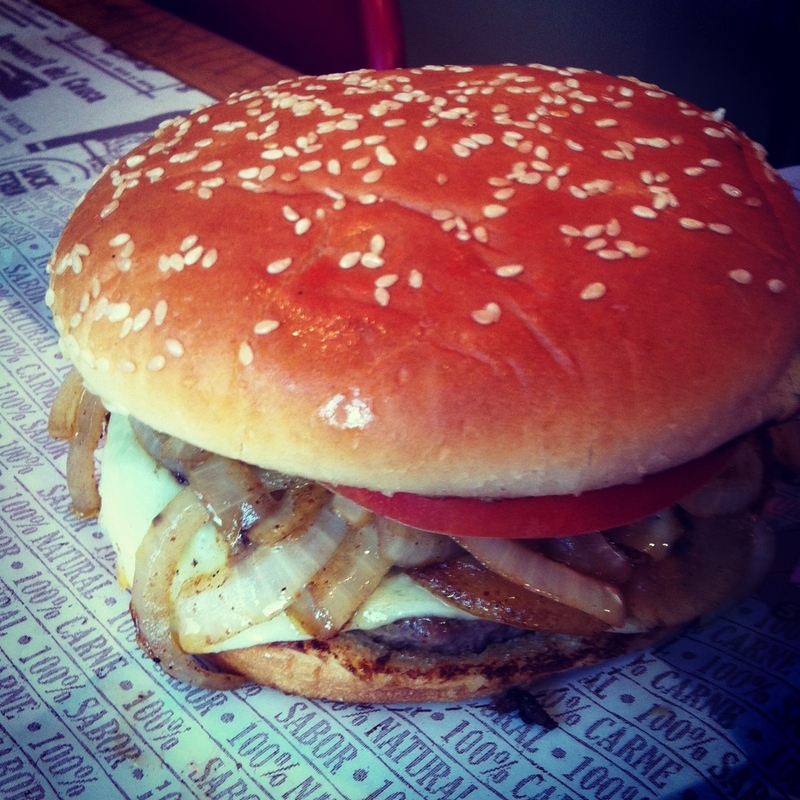 patty, sauteed onions, tomato, bacon, fried egg = perfect burger! 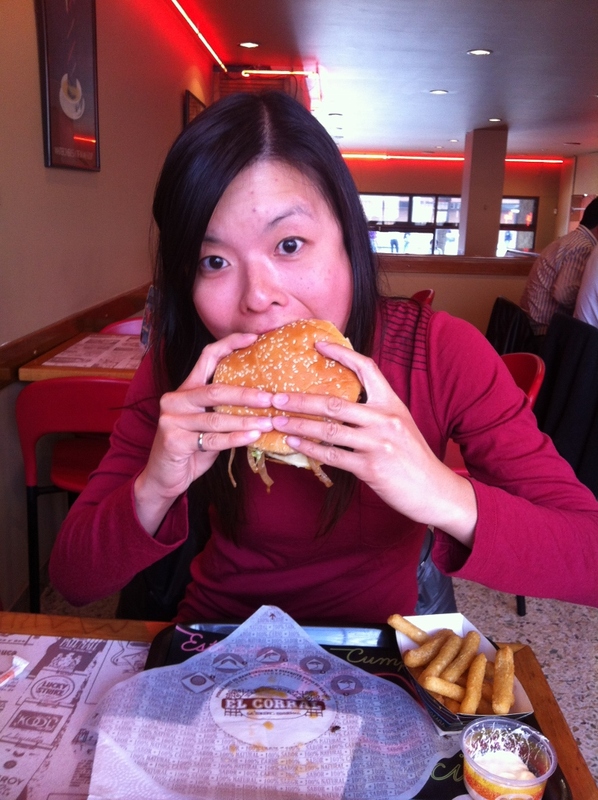 After Lick’s burgers, this was the most delicious, messiest, artery-hardening burger I’ve ever had! I scrutinized the patty after I’ve taken a few bites. Little globules of fat?…worms?…I wasn’t sure. So the verdict is…….inconclusive. I cannot confirm or deny the use of ground up worms in their burgers. I can, however, confirm that they are delicious. 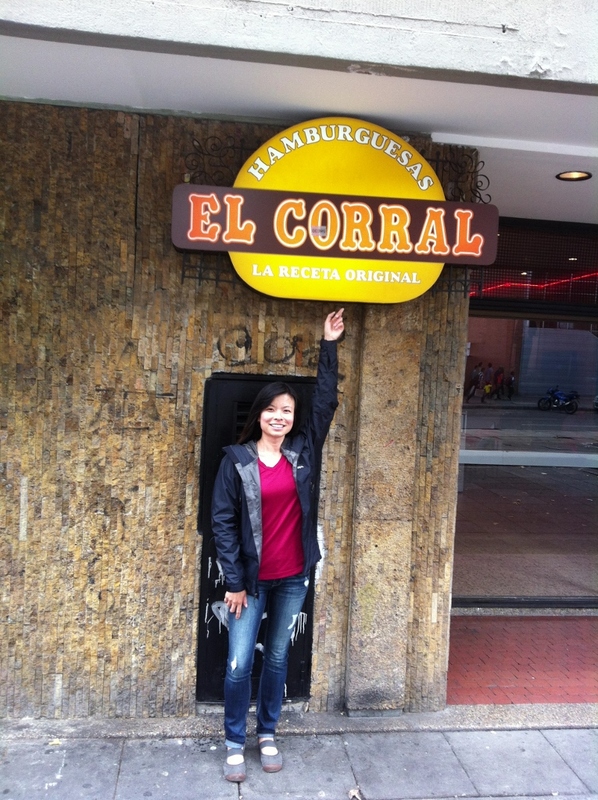 This entry was posted in Colombia, Food, South America and tagged Bogota, Colombia, El Corral, food, Hamburger, Rumours, worm burger, Worms by Jenn. Bookmark the permalink. VERY PROUD OF YOU FOR TAKING THE CHALLENGE!!! haha! thanks for letting us know about it, Char! Hahaa…you guys will eat anything!